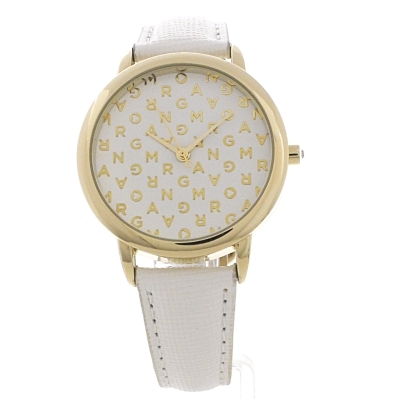 Morgan M1258WG is an amazing and attractive Ladies watch. Case is made out of PVD Gold plated while the dial colour is Off white. This watch is market as water resistant. It means it can withstand slight splashes and rain, but is NOT to be immersed in water. We ship it with an original box and a guarantee from the manufacturer. Morgan De Toi is a French clothing company that originated in 1947, as part of the Morgan SA establishment, and whose original purpose was to manufacture and sell lingerie. Since then, however, Morgan De Toi has grown and diversified, and now operates on a global scale, producing some of the world's best-loved watches. Indeed, the Morgan De Toi watch collection is one of distinction, and above all a range that is inimitable in its diversity. 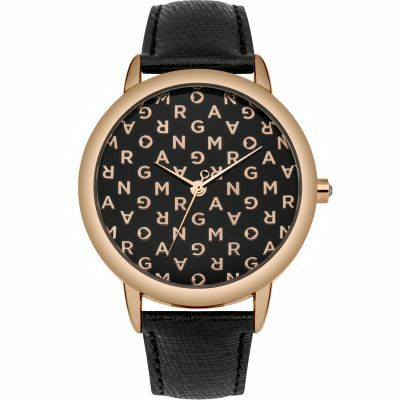 These watches, whose dials are embellished boldly with either the company's brand name or a take on its infamous, heart-shaped logo, make for a bold addition to any high-fashion, statement outfit. Coming in a range of colours and designs, a Morgan De Toi watch will enable you to stand out from the crowd or lead a style movement, decorated with the glamour of a brand whose roots in lingerie production still leaves a hint of sexiness in its wristwear. Watch Shop is an authorised Morgan stockist. Sign up to receive email updates when new styles of Morgan are added to Watch Shop!